If you’re considering buying into a home or community solar project in the future, then you may want to do it within the next year or so. Both the National Renewable Energy Laboratory and the Lawrence Berkeley National Laboratory have recently found that home and community solar facilities (“solar gardens”) will remain great price investments from now through the next several years. The Colorado and California labs have kept tabs on costs of residential/community-scale solar systems for several decades. These government facilities are well aware that residential solar photovoltaic system costs have fallen by an average of 6-8% a year since the late 1990s. Small solar systems (at or under 10 kW) are continuing to dive. 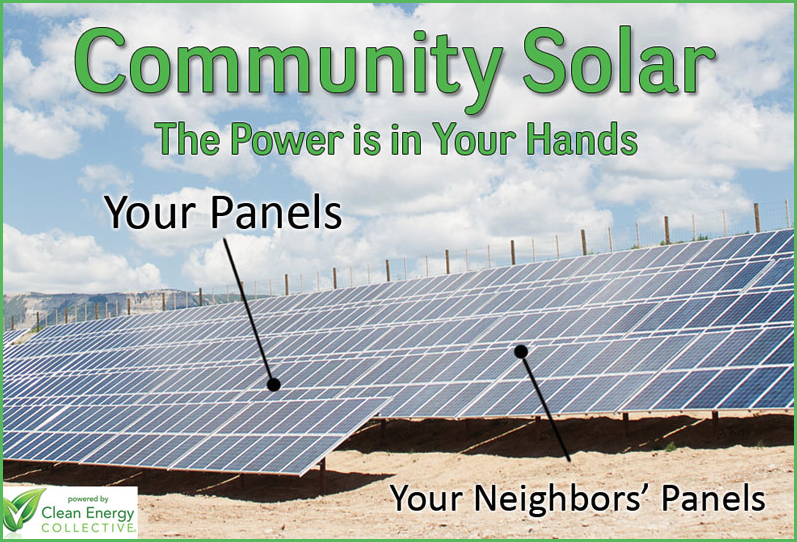 A recent study found that the average community solar program has 213 participants, who purchase power from a one-megawatt system that is 71% subscribed. At the beginning of 2014, the average reported price for these systems was $4.50/watt, down from $4.74/watt in 2013. David Feldman, the study’s lead author and an NREL financial analyst, told the Denver Business Journal that “there is still considerable uncertainty as to how low PV system prices will drop in the next five to 10 years.” His report forecasts continued downward costs through 2016, with a bit of rise and fall before stabilizing in 2016. These numbers mean that goals established by the Department of Energy are looking more and more achievable. DOE’s big push is to make solar energy cost-competitive, on a wholesale electricity basis, with most other power sources by 2020. The SunShot Initiative has already reached 60% of its goal. If cost equality is achieved, small solar PV system costs will have fallen by 75% between 2010 and 2020. Although prices are likely to continue to fall for a year or so, many support and incentive programs will possibly expire during that time without renewal. So now couldn’t be a better time to power yourself and your neighbors with emission-free 21st-century solar! Now’s the time to go solar today! Get the facts. Find out exactly how much solar will save you, including which Tax and Financial programs you qualify for! Please input zip code.Please enter valid zip code. Have Questions about Solar Energy? How Much Do Solar Panels Cost? What Is The Current Cost Of Solar Panels? How Much Are Solar Panel Savings? Copyright © 2019	Cost of Solar. All rights reserved. Your privacy is important to us, and we take the security of your information very seriously. Your information will only be used for the purposes of preparing a solar estimate. Furthermore, By filling out this form you explicitly agree to be contacted by phone call, pre-recorded, and/or text message at the telephone or mobile number that you entered above by up to four solar installers about their products or services. These calls/messages may be sent using automated telephone technology, even if your telephone or mobile number is currently listed on any state, federal or corporate “Do Not Call” list. Message and data rates may apply. You are not required to give your consent here as a condition of any purchase.